Welcome, PC gamers! Among other PC gaming releases including Resident Evil 2, the month of January set a rigorous pace for game releases that will see the next few months doing their best to steal the spotlight. As you are about to see, February is going to do its absolute best to separate you from your hard-earned cash (as well as free time), but with the games hitting storefronts this month, it will be hard to say no! Wasting no time, February brings with it the latest installment of the venerable Ace Combat series to PC on the first of month. If you mainly play games on the PC, then you might not be familiar with the Ace Combat series, which has had a home up to now on the Sony Playstation consoles. 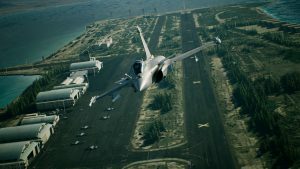 Ace Combat 7 marks the franchise’s first appearance on PC. Ace Combat lets you pilot an array of real-world military airplanes in its fictional world. The series is known for its intense aerial combat and stunning visuals, with a side of narrative. Developed and published by Bandai Namco, Ace Combat 7 will be one to follow as the series’ track record is unproven on PC. You can decide for yourself as it is available now on popular online storefronts. If the fast-paced action of Ace Combat 7 isn’t your style, perhaps Wargroove will be just what the doctor ordered for you. 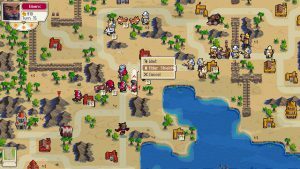 Wargroove is a turn-based strategy game set in a fantasy world developed and published by independent studio Chucklefish, publisher of another massively popular game, Stardew Valley. The vibrant, retro-styled graphics of Wargroove provide an engaging backdrop to the tense battles to be found in the game. In addition to a full campaign story, Wargroove has both LAN and online play. Get your Wargroove on with your friends thanks to the game’s split-screen multiplayer and controller support. Replayability should be excellent as well, thanks to the included map editor. For sale on Steam beginning February 1st for only $19.99, this may be the game to get while your killing time waiting for some of the bigger releases later in the month. It’s a busy month for Bandai Namco, with their second release of the month, God Eater 3, hitting storefronts on the seventh of the month. This action-anime hack and slash has players battling epic monsters as the “God Eaters” in a post-apocalyptic world. 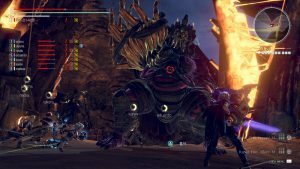 New weapons, new abilities, and new enemies should make God Eater 3 the definitive title in the series. Modest system requirements makes this an accessible title for both new and experienced gamers alike. Your significant other will be thankful Valentine’s Day is on a Thursday, because after the release onslaught on Friday the 15th, all the snow of February will be long gone before they see you again! 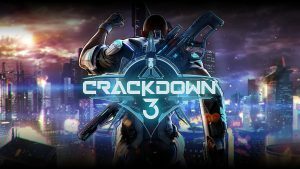 The onslaught begins with Crackdown 3, the appropriately named third title of the Xbox-exclusive action-adventure series. Of course, in 2019, “Xbox exclusive” refers to the Xbox “ecosystem” and not the console itself. The game is coming to Windows 10 PCs through the Windows Store on February 15th. Developed by Sumo Digital and published by Microsoft Studios, the game ups the destruction ante with destructible environments powered by cloud servers from Microsoft’s Azure platform. With the power of the entire cloud at the game’s disposal, Crackdown 3 promises a new level of destructible mayhem. In this game, Terry Crews lends his voice and likeness to your character as your retake the city from nefarious gangs. Now, in the third game, gang leaders will retaliate against you dynamically as you work to dismantle their nefarious organizations. It will remain to be seen if it can live up to the nine years of hype since the last installment of the series, but you can judge for yourself later this month. New Dawn is the next installment in Ubisoft’s storied Far Cry franchise. This game is the sequel to 2018’s Far Cry 5. 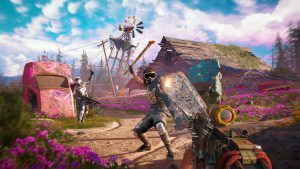 Set in the post-apocalyptic landscape created as a result of the events of Far Cry 5, New Dawn features a landscape and people recovering from the ravages of nuclear war. Players will recognize areas from Far Cry 5, as well as new areas that have been made accessible as a result of the war. A zany array of weaponry and a cornucopia of outposts to capture, both staples of the franchise, appear here in ample measure. Developed by Ubisoft Montreal, players can experience New Dawn’s war-torn Montana for $39.99 on storefronts beginning February 15th. I wasn’t kidding when I said Bandai Namco is having a busy month. 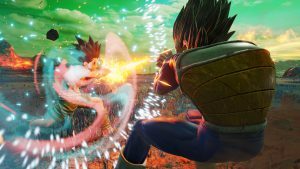 The third title from Bandai Namco Entertainment to arrive on PC in the month of February is Jump Force, a fighting game featuring an ensemble cast of characters from the popular Shonen Jump manga publication, which is currently celebrating 50 years in publication. Jump Force features 40 characters from 16 different series, including characters from Dragon Ball, Bleach, Naruto, One Piece, and others! If you are a fan of Shonen Jump this will not be one to miss. Look for it on Steam February 15th for $59.99. It’s tough to write about Metro Exodus in the shadow of the events that transpired earlier in the week. 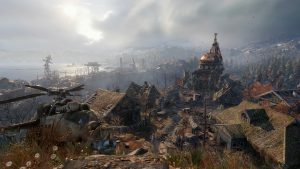 Which really may be a shame, because by most accounts Metro Exodus seems poised to become the definitive title in the series, despite the bad PR. Exodus brings the Metro franchise in line (pun intended) with other modern AAA franchises by becoming an open-world title. The open world brings with it a host of new environments not seen before in a metro title which appears to really freshen up the gameplay. Developed by 4A games, Metro Exodus offers the the largest scope of any game in the series thus far. Time will tell if the game can survive on its own merits and overcome the bad PR so unwisely laden upon it so close to release by its publisher. Exodus is available on the Epic Games Store February 15th for $59.99. The Elephant in February’s room is Anthem. Developed by esteemed publisher Bioware and published by EA Games, Anthem has been highly anticipated, especially after the flashy gameplay video EA featured at the E3 expo in 2018. It is also Bioware’s first new property since 2010’s Dragon Age Origins. 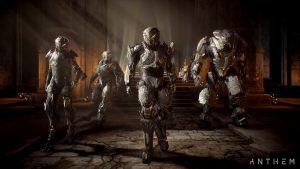 Anthem features gameplay similar to Destiny, what many would call a “loot-shooter”, where the player defeats successfully harder enemies for progressively better gear, generated at random. Anthem attempts to mix up this tried and true formula with the help of mechanical “exosuits” known as Javelins; these exosuits allow the player to fly around the environment freely. There are different classes of Javelins that offer different play styles. Anthem is expected to include robust single and multiplayer gameplay modes. The offices of Bioware are surely working overtime at the moment after the tepid response to the litany of issues found in the PC beta. To Bioware’s credit, they acknowledged the issues with the beta and pledged to fix them. Hopefully they can address them all before the game’s release on February 22. It will be available on the Origin marketplace starting at $59.99. 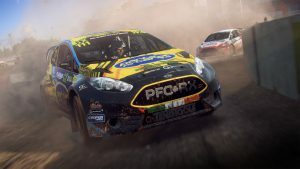 Dirt Rally 2.0 is Codemaster’s sequel to 2015’s Dirt Rally. Rally your spirits and get behind the wheel of over 50 vehicles in courses across six countries. This next installment promises to further refine the handling and physics models that made the first game such a compelling driving game. Perhaps they should have called it “Rally Manager 2019” because you can also manage your own team, hiring staff and building your garage as you see fit. You can pick it up on Steam February 25 for $59.99. From Crackdown 3 to Jump Force, and Anthem to Wargroove, February’s games really offer something for everyone. Considering it’s the shortest month of the year, it’s going to go by so fast when so many new games are vying for our attention. What are you looking forward to? 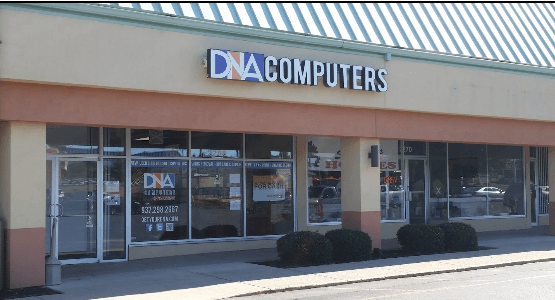 And remember, if you need help with your gaming PC, or want to talk to the experts about building one, swing by the gaming experts at DNA Computers, your friendly neighborhood computer store.